Vance Powell is a four time winning Grammy Award winning American record producer, engineer and mixer. 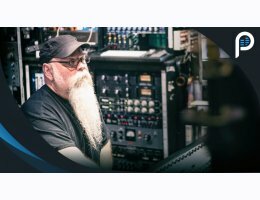 Vance made his start in live sound, touring as a front-of-house engineer then in early 2002 an opportunity came up to help build what’s currently one of the largest studio complexes in the world, Vance was there, becoming chief engineer for Nashville’s Blackbird Studios. Vance began working extensively with Jack White's groups including The Raconteurs, The White Stripes, and The Dead Weather, as well as many of White's production jobs. Powell is the co-owner of Sputnik Sound, a recording and mixing facility he set up in 2006 together with producer/engineer Mitch Dane. He is also an active member of The National Association of Recording Arts and Sciences (NARAS) in their Producers and Engineers Wing.